Welcome to Ryder’s Principles of Business Conduct. These Principles are in place to ensure that we conduct our business fairly, honestly, and ethically – everywhere we do business, every day. We’re fortunate to work for a company that’s earned a reputation over four decades for having the best people in the industry, delivering on our promises, and getting results the right way. It’s our responsibility to protect this reputation so we are able to continue to grow and succeed. 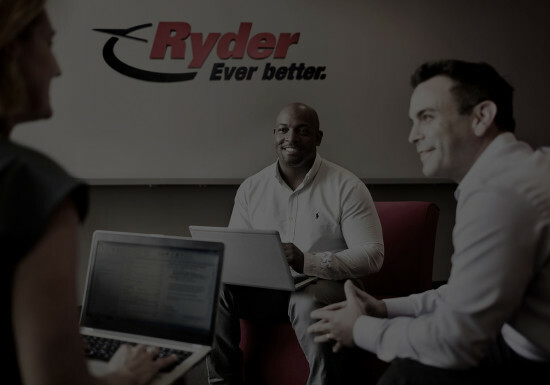 Our Principles are especially important at Ryder because our entire business model is built on trust. We operate behind the scenes, as trusted partners, managing critical functions for many of the largest and most well respected companies in the world. As a publicly traded company with thousands of shareholders, including our own employees, we’re counted on to operate ethically and protect their investments. And, because we facilitate commerce through globally connected supply chains, we have a special industry leadership role in the areas of safety and security. In each of our roles we must continually earn trust. That’s why it’s essential that we hold ourselves to consistently high standards in all that we do. Our Principles form the playbook that keeps us on the right track so we can maintain the trust we’ve worked so hard to earn. To make it easy for you to apply the guidelines in your daily work, we’ve organised the Principles according to Ryder’s four Leadership Competencies: Character, Judgement, Relationships, and Results. When you demonstrate the behaviours that live up to our competencies, and follow the Principles outlined in this document, you’re contributing to Ryder’s reputation as a trusted, ethical, and responsible enterprise. Maintaining this reputation has many benefits. But most of all, it makes us proud to say we work at Ryder. Report a concern using the Helpline - online or by calling 0800 890 011. If you have reason to believe someone has violated our Principles of Business Conduct, you should report it as soon as possible to the Ryder Helpline; available 24 hours a day, seven days a week. You may remain anonymous, if you choose. Ryder forbids retaliation against anyone who files a report in good faith.